Post your wants or needs here, must be race or performace related. If you are a business, you should contact the forum admin before posting. 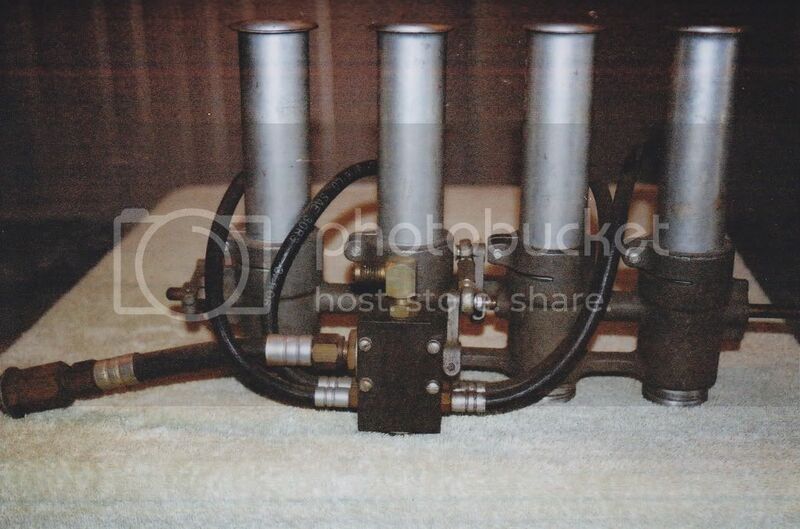 Here we have a rare Hilborn fuel injection with pump. My friend bought it from Russ Collins ( R.C. ENGINEERING ) back in the day. As you can see it's for a cb750. P.S. 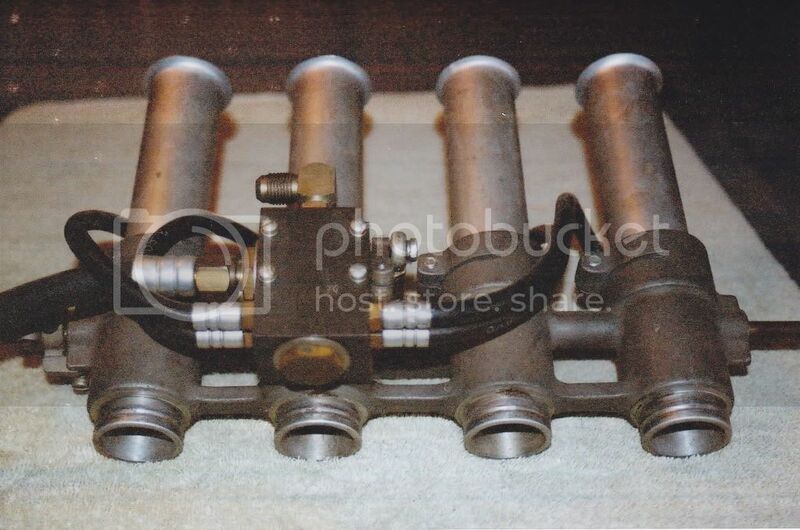 This very rare version " cast manifold " is no longer available. How does that pump work? Could you run that setup on an electric pump, and is anything missing? Great forum category idea, Sam. I have an OEM CR750 stator but am missing the rotor. Anybody out there got an "extra" CR rotor they are willing to sell? The pump is driven off of the engine. No you can't use an electric pump as far as i know. To complete the setup you'll need a surge tank, filter, check valve, primary bypass valve, cutoff valve and all of the fuel lines. Hi I have rear hub with disc brake. It was mounted on my bimota honda 500 racer. Hub have 40 holes for spokes, shaft diameter is 20 mm. There is master cylinder, brake caliper, all spacers, disc.... If you are interested, write me thanks. Anyone know where I can get a windscreen for this fairing? Camber Fairings CR600. For those interested in how this system works, here is a page from Hilborn's website explaining this type of system. I am looking for the mounting brackets in which the tacho and oil pressure gauges are to be located. Anybody got a lead on where to order those new, or perhaps somebody is willing to sell? Mead Speed in England or Bartel Engineering in Northern Ireland. Sam, thanks mate but I couldn't find what i was looking for. 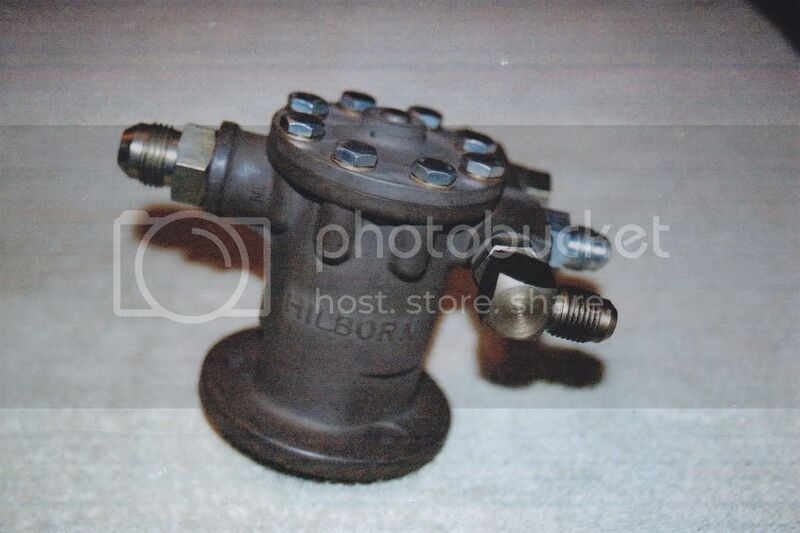 I shall be a little bit more specific as i am not searching for bracket in which both gauges are placed but the anti vibration mounting which in this case -shown below- is for the tacho. Hi Nap, the one on the CR that I built came from Bartel. I bought the complete package from them so don't know if the anti vibe mount was included with the bracket or the revcounter. CR-29's for sale. 500.00 + shipping. Very good condition. Hi i have for sale a new set of race conrods for the Honda 400/4 that we bore out to 500cc, for this as most of you know, you need rods with 15 mm little ends which these have. So just to recap. Conrods for the 400/4 with 15mm little ends. I have Forged 61mm piston kits for sale now for 500/550 SOHC fours. JE forged, with deep valve reliefs for all comp cams, 11.5 to 1 compression. No need for sleeves if using 550 cylinder. PM me for prices as not on web site yet. I couldn't find the traditional anti vibe mounts like i used on my CB450 tacho and similar to the one Sam refers to so I mounted the whole CR dash using rubber pegs. The whole dash is therefore damped and the tacho/oil guage don't need to be....one option? Welcome Hosa, pics would be good as would bikes performance/time slips. When did you last ride it? 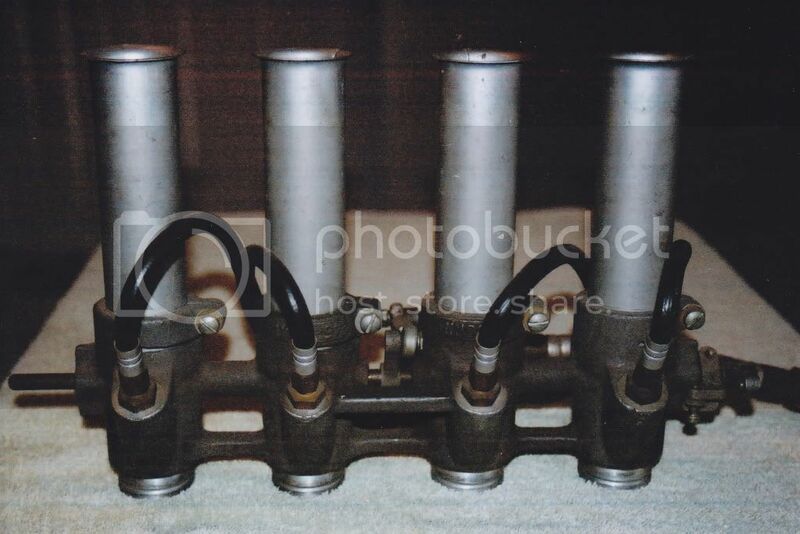 Mark @ M3 Racing here with some very nice Honda SOHC 500/550 parts for sale. Just completed three engine builds and have some parts left over in new or reconditioned condition. Megacycle Hardweld cam # 126-20 .363" lift, Intake & ,333" lift Exhaust with duration of 259 degrees on both Int & Ex. Megacycle description, Must use modified piston and HD valve springs. Roadrace or street/drag strip. Great throttle response. Head, used but no broken fins, no bad threaded holes, no journal damage, ready to bolt on after painting and has valve job done on Serdi machine, so valves would go right in...no lapping needed. Let me know or they go on ebay. RE: rev-counters and mounts. The anti-vibration mounts are from old Smiths Instruments. They fit the black Honda CR replica holder perfectly. They do come up on Ebay occasionally but can make good money. By good fortune, the Veglia rev-counter fits the Smiths mount perfectly as well! A guy said he could replicate the original Nippon rev-counter face and fit it to the Veglia, if I could get it apart, which is not easy and I am reluctant to use too much force as they are expensive!